Initially a humble Pay-What-You-Want service offering a collection of indie games for a limited time every few months, Humble Bundle has grown to include a full blown digital video game storefront and monthly subscription service over the years. However, the design of the site had not kept up with this reality and lacked a true home page that effectively communicated everything Humble Bundle had to offer. We determined a holistic approach that better surfaced these elements was needed. Humble Home is a mixed grid where all the latest offerings live. Bundles, store sales and products, and the newest Monthly offering populate this page and can be arranged in a variety of configurations using preset tile sizes. Bundles also live in the updated navigation bar where a dropdown of all the bundles currently on offer can be accessed. 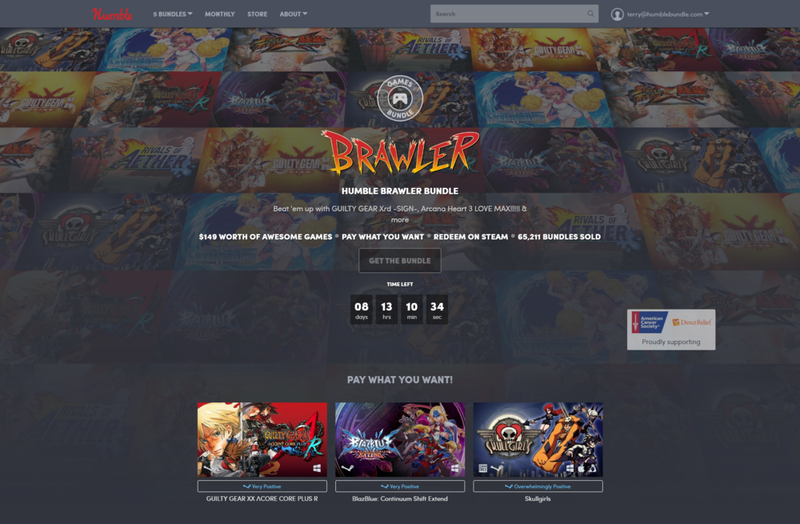 Additionally the site now features a system for dismissable, scalable cross-promotional banners that make users aware of other products and offers happening on Humble Bundle. Humble Monthly was also considered in the overall Humble refresh. The Monthly page was redesigned with illustrations and small animations to blend narrative with an overview of the service and create a special experience in explaining the service and present it as a premium service. This video is a prototype created in Principle. Finally, the primary bundle page was also given a much needed face lift which leveraged the main hero presentation element used on Humble Home. Through testing we found the old header being used was a bit of an information overload for our users and did not employ well thought hierarchy. With this treatment we solved that problem as well as presented an overview of each item in the bundle in a much more exciting way with the cascading game art background.